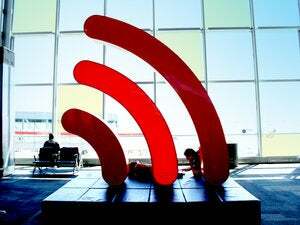 In the continuing progression of wireless alphabet soup, 802.11n is the latest and greatest. In comparison to the ashes-in-your-mouth taste of 802.11g's maximum throughput of 54Mbps, the delicious 'n' flavor offers up to 300Mbps , which might be useful if you actually had an Internet connection that could offer that much speed. But—and I hate to be the bearer of bad news here—you probably don't. While the major wireless peripheral makers (Belkin, Linksys, Netgear, etc.) have already jumped on the bandwagon, there's just one teensy-weensy, tiny-winy, little catch: the standard hasn't been officially ratified by the Institute of Electrical and Electronics Engineers (IEEE) yet. Technically. But they're really really close to finalizing it. Wireless products are certified for compatibility by the Wi-Fi Alliance...[f]or their part, the Wi-Fi Alliance is not pleased with the 802.11n swarm, and has threatened to give the boot to any manufacturers selling products claiming to be based on the standard. That hasn't dampened enthusiasm, however, and it's possible that the Wi-Fi Alliance's ability to curb the situation will be negated by the fact that, well, almost everyone is doing it.